ADVENTure is a self-directed prayer walk pondering the true meaning of Christmas. You can read all about it here, as well as learn how you can do this interactive prayer walk for your church or ministry. This coming Sunday, November 29th, is the first Sunday of Advent. As we consider the true meaning of CHRISTmas we light our first candle of the Advent Wreath, the Candle of HOPE, and we consider the Wise Men who traveled across many miles when the star appeared in the sky in the east. 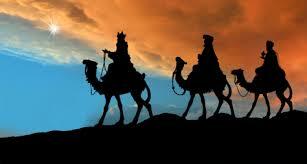 The Wise Men were men of knowledge and HOPE. Their knowledge gave them the information they needed to discern the coming king and where they would find Him. Their HOPE gave them the desire to seek after Him. They followed a star – a brilliant light in the sky – and it led them directly to the “King of the Jews.” They sought hard after Him, and they found Him. They brought Him gifts and worshiped Him. Who do you follow? What light guides you? Is it the One True Light or is it a lesser star, a lesser light? Consider the things that consume your time. Do they bring you HOPE? and steals your hope from you? Take a small light bulb, tie it with ribbon. Decorate if you like. Take it and hang it where you can see it. In this busy season, let it remind you to follow the true light of heaven. 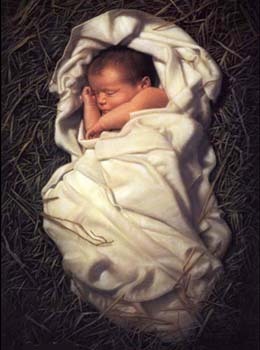 Father God, help me to follow the star of HOPE until it leads me to the ONE true KING of LIGHT and LIFE. I want to follow your light and your light alone. In Jesus’ light-bearing and life-giving name we pray, Amen. Here is a .pdf file of this meditation for your use: ADVENT 1 Candle of Hope. Please see the ADVENTure Prayer Walk post for further resources and instructions. If you have any questions, please comment below. What is Create-A-Day? Just as One-A-Day® Vitamins help restore the nutrients we deplete in our bodies, so too do we need to refill, replenish and renew our creative souls. In 2015, watch for daily posts to undergird your ministry; lead you to resources to nurture the creative spirit within; and draw you more deeply in worship of Jesus Christ. My goal is to provide you, the creative Christian, with over 250* resources to help you develop your ARTistry, CREATivity & capacity for BEaUty. Books, worship arts ministries, video series, websites, conferences—all geared towards artists, creatives, worshipers and people serving in worship and creative arts ministries. Jody Thomae is the author of God’s Creative Gift—Unleashing the Artist in You and The Creator’s Healing Power–Restoring the Broken to Beautiful, both devotional books in the Bible Studies to Nurture the Creative Spirit Within series, designed to serve as resources for creative Christians, artists, musicians, worshippers and those that appreciate beauty. She has been involved in worship arts ministry since 1997, coordinating artistic involvement in church services and regional worship events through dance, drama, poetry and fine arts. She teaches and leads workshops in the area of creativity, spirituality and embodied prayer. She has also released a devotional CD, Song of the Beloved. Her passion is for the revelation of God to be made more real through the prophetic use of the arts in church and formational ministry. It is her desire to portray the message of Christ’s desperate and unfailing love for His people to help sustain the hearts of the broken and weary. Life scriptures include Psalm 27; Isaiah 50:4-7; and Zephaniah 3:14-17.